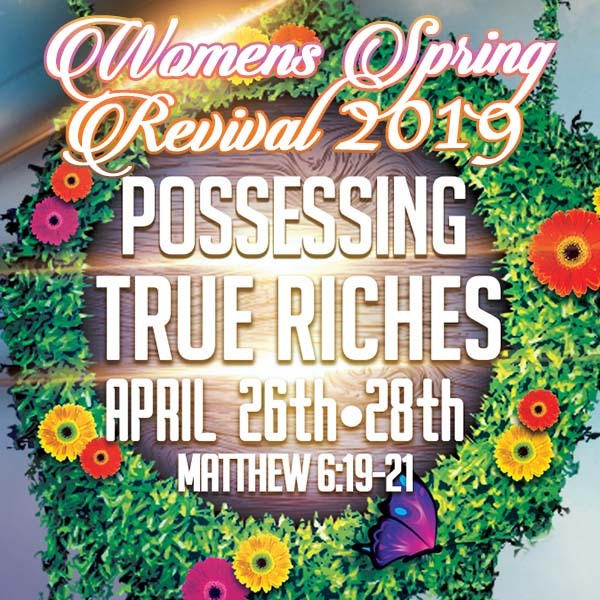 First Lady Carolyn Vinson invites everyone out to Spring Revival 2019!! 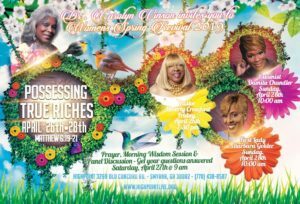 Guest speakers will be Pastor Beverly Crawford and First Lady Barbara Golder. The dates are April 26th – 28th. You don’t want to miss it! Please pick up a flyer from the lobby and invite someone out!